This page contains a lot of detailed information. 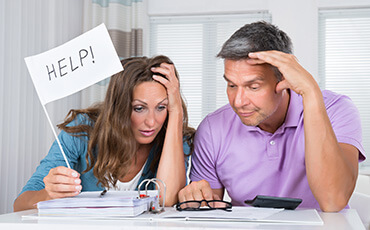 Please read all of the information and give us a call for your free consultation so that we can help you put a game plan together to help solve your financial situation.Over the past 25 years, our office has helped hundreds of Washington client file for Chapter 7 and Chapter 13 protection in order to get their lives organized and Get a Fresh Start! Read our client reviews to see why we are your Best Choice! We help people stop garnishments and save their houses all over the Puget Sound area. Federal Way, Tacoma, Puyallup, Fife, Lake Tapps, Auburn, Black Diamond, Kent, Des Moines, Sea-Tac, and Seattle. (24 hours a day – 7 Days a Week) Call Anytime! Or use our easy form submission. The first step in taking control of your finances is to delegate to the Law Offices of Christopher A. Benson, PLLC as your agent and representative to take your creditor calls, stop creditor harassment, stop creditors from taking your pay, salary, bonuses, cash and bank accounts. You need to use your best judgement to stop a creditor’s judgment and protect your funds. We can counsel you through the process. As your lawyer, we can acquire a refund of funds that were garnished within the last 90 days if that amount exceeds a total of $600 or more. We will cancel current and pending lawsuits. We will help you defend your federally protected financial rights and assets. Save your pay check. Give us a call or fill out the easy email link and set up your free initial consultation to find out what options are available to you. You must disclose all sources of all income for the previous 6 months prior to filing bankruptcy. Your income information is used to prepare and complete a form which is commonly known as the Means Test. 2. You must disclose all of your assets, the liquidation value of your assets and any transfers you have previously made. 3. You must have your tax return for the previous 4 years filed. ** Remember: the Agency must be approved by the Western District of Washington: Do NOT USE the agencies approved by the Eastern District of Washington. Tell the credit agency up front that you need the certificate in order to file bankruptcy and that will expedite the counseling process. The credit counseling course must be completed prior to filing bankruptcy. Upon completion of the credit counseling class (either online or on the phone) which takes between 30 minutes to an hour and your numbered completion certificate will be emailed to you. You must provide the certificate of completion to our firm so that we can file it at the same time as we file your initial bankruptcy filing. The Certificate is Only Good for 6 Months. Therefore, you must file your bankruptcy within 6 months of obtaining the certificate or you will have to retake the counseling and pay for and obtain a new counseling certificate. 5. You Must attend a 341 Meeting of Creditors. We will represent you at this meeting. However, You Must Provide a Copy of your Social Security Card at the time of your 341 Meeting. You need to locate your Social Security Card now. If you cannot find it, you need to go to the social security office in your area to order a replacement. 6. You must also complete a Personal Financial Management Instruction Course (Debtor Education Course) pursuant to 11 USC 111 sometime after you file your bankruptcy but complete it before you discharge in bankruptcy can be granted. You cannot complete both the Credit Counseling course and the Debtor Education Course at the same time. If husband and wife filed a joint bankruptcy petition, both parties have to obtain a certificate in their own name. The Debtor Education Class usually takes longer than the pre-bankruptcy credit counseling class and costs between $50 and $100. Once again, you can only take the Debtor Education Course from an agency that is approved by the Western District of Washington Bankruptcy Court. We have printed out and provided you a list. However, once again Approved Agencies are added and deleted on a regular basis; therefore, you are advised to view the most current approved list from the website above. Amendment to Miscellaneous Fee Schedule: The Judicial Conference of the United States modified the Bankruptcy Court Miscellaneous Fee Schedule to change the bifurcation fee for cases under all chapters so that it is equal to the original filing fee. Debtors including corporate debtors, must pay filing fees by money order or cashiers check. Personal checks are not accepted from debtors. Attorneys may pay by check or credit card. Amendments (to add or delete creditors to D, E & F schedules) to change the amount of a debt or the classification of a debt and amendments to the matrices or to the mailing list of creditors. No fee is required when the nature of the amendment is to change the address of a creditor or an attorney for a creditor listed on the schedules or to add the name and address of an attorney for a listed creditor. Bankruptcy Attorney doing business in Federal Way, Tacoma, Auburn, Kent, Fife, Des Moines, Seattle, Lake Tapps, Puyallup, Bonney Lake + more!